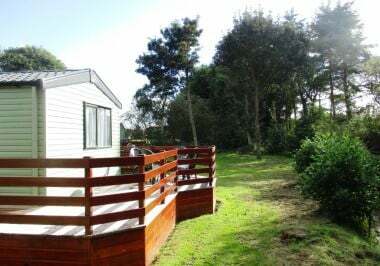 Tayport Links Caravan Park suits those looking for a luxury Scottish holiday home location that offers all the essentials – relaxation, culture, beautiful scenery and plenty of local leisure activities – at an affordable price. Our range of new and pre-owned luxury static holiday homes for sale frequently includes prime waterfront pitches with sea views and suits a wide range of budgets. Owning a holiday home at our holiday park gives you the opportunity to escape the hustle and bustle of daily life to your own peaceful haven on one of the most beautiful coasts of Scotland. We often have spare pitches so if you don’t specifically see what you are looking for on our Sales Pages, please get in touch as we may be able to get the caravan you want and site it on our Park. View some answers to your questions about annual running costs, length of tenure, park facilities and much more. 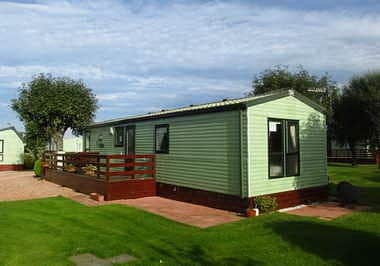 Just available we have an absolutely fantastic pitch at Tayport Links Caravan Park. 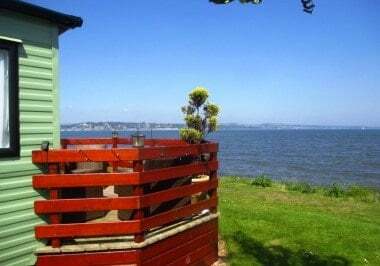 With a large balcony, you can enjoy amazing views to the east across the River Tay to Broughty Ferry or West over the estuary to Tentsmuir Forest whilst enjoying the sunshine at any time of day. This stylish caravan is in immaculate condition. Situated in a quiet corner of the Park beside a small burn, the caravan has a large balcony extending out the back giving a lovely sunny, private outdoor space. This Special Edition Caravan is beautifully designed and is in immaculate condition. Situated beside a small burn, the caravan has a private parking space with a large balcony extending out the back giving a lovely, private outdoor space. This is a lovely caravan on a smashing pitch. A top end unit in it’s day it is in very good condition with new carpets and vinyl, double glazing and central heating. Available with a 15 year tenure this is a rare opportunity to purchase a stunning and luxurious Willerby New Hampshire lodge with large wrap around balcony, sea-views and private garden. At 40 by 16ft this is the largest unit we have on our Park and it is extremely spacious. We recently acquired one of the best pitches on the Park with lovely views over Tayport Common to the Tay Estuary and Tentsmuir Forest. On it we are putting the 2018 ABI Sunningdale, a stunning caravan perfectly suited to the pitch and the views. Just on the market, this newly re-carpeted caravan is in great condition and is sited on a absolutely fantastic pitch at Tayport Links Caravan Park. With a large balcony with 2 separate seating areas, you can enjoy the amazing views across the River Tay to Broughty Ferry or over the estuary to Tentsmuir Forest whilst enjoying the sunshine at any time of day. Situated in a quiet and sunny corner of the Park on a recently developed pitch with it’s own parking space, this 2015 Swift Biarritz Holiday Home is a beautiful caravan in immaculate condition. The lounge area features lovely big patio doors which open onto the balcony which has been positioned to make the most of the sunshine. An outstanding opportunity. This is a lovely van on a fantastic pitch. The pitch is one row back from the seafront and the caravans in front have been positioned to maximise the view between them. A full length timber balcony extends around the front, and the full length of this caravan, giving a seating area with a sea view at the front of the caravan and a seating area at the back overlooking gardens. 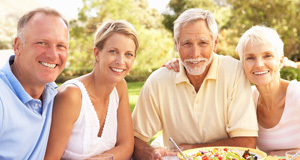 With these 2 outdoor options you’ll always be able to catch the sun! Available for the start of the new season on 1st March this is a lovely high end caravan, with a large timber wraparound balcony (which is being renovated ahead of the new season) and dedicated parking space, situated on a lovely pitch on the edge of the holiday park with views across the Tay Estuary to Broughty Ferry. Newly available for the new season this caravan is on a lovely pitch with it’s own parking area, a size-able slabbed space and a great little sunny balcony with a small burn and trees behind it. 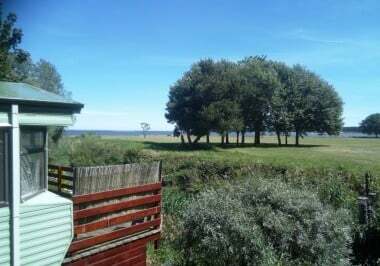 This caravan is in very good condition and is on a lovely pitch with gardens to one side and a partial sea view. Add in the double glazing, a huge full length balcony and a kerbed and chipped parking space and this is a great buy. Available for sale at the end of April this Cosalt Rimini holiday home is situated on Tayport Links Caravan Park between St Andrews and Dundee. This double glazed caravan has been well looked after, is in very good condition and has a nice outlook towards some trees with Tentsmuir Forest beyond. 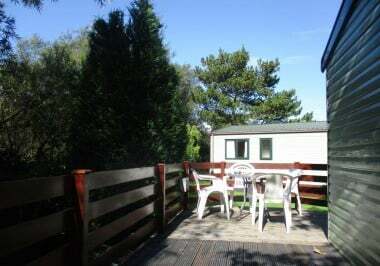 It is situated in a lovely sheltered corner of the Park with a large south facing decking extending out the back of the caravan offering a nice quiet and private space to enjoy the sunshine.